is available in more than 50 countries as in January 2014. Motorola plans to bring this affordable Moto G into more countries and into the hands or millions of users. Moto G is one of the most affordable smartphones ever, with acceptable quality. Most of Moto G accessory is also quite affordable. 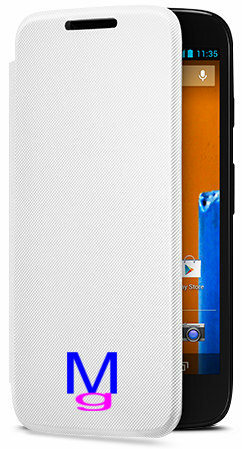 But some sellers may over-charge you on Moto X accessories. Some accessories may have poor quality. Why another Moto G Accessory Guide? So, we decided to start a Moto G accessory guide to help you get quality accessories for your Moto G at an affordable price. We will try to introduce you some practical (enhance your experience with your Moto G) not “luxury” accessories. It simply does not make sense to buy a $150 Moto G accessory for the $180 phone. This is a live Moto G accessory guide: we update this page regularly to add more contents. So, please do check again if you do not find the guide you need. You may also leave your feedback in the comment box below and we will address them as early as we can. What are covered in Moto G accessory guide? How to contribute to Moto G accessory guide? If you have some cool or interesting Moto G accessory to recommend, please let us know in the comment box below. Or, if you want to read more topics on Moto G accessory guide, please let us know in the comment box below. Of course, you can discuss your experience with your Moto G accessory in the corresponding guide pages or this page. Unfortunately, I don’t think there are any quality keyboard case for Moto G.
Thanks for the info, I have an Otter box case on mine, would the lens attachment work with that on? or would i have to remove the case to use it? No, you have to remove the case which is too thick to my knowledge. Although you probably can clip the lens over the case, but the lens will not be able to focus correctly. All such lens work best without cases/cover or with very thin cover. Is there a camera lens attachment I can purchase? It depends on your requirements. There are many universal camera lens for smartphones. The price varies. You may check with the app developer or the community for this app. I never used that app.